Students who study abroad get the opportunity to take a class that may not be offered in India. The experiences students have while studying abroad ignites their interest in academic pursuits, and they return home with an added vigor toward their coursework. Students get a more well-rounded education that better prepares them for this increasingly global world. When a student studies abroad, he or she will make lifetime friendships with fellow American classmates as well as with native students. The memories and friendships made could last forever and could open the student up to a global network of job prospects and connections. Living and studying overseas fosters a sense of teamwork -- as the group travels together, they experience the challenges of a multicultural situation together. They also learn to become dependent, proactive, and are able to provide and solicit help. 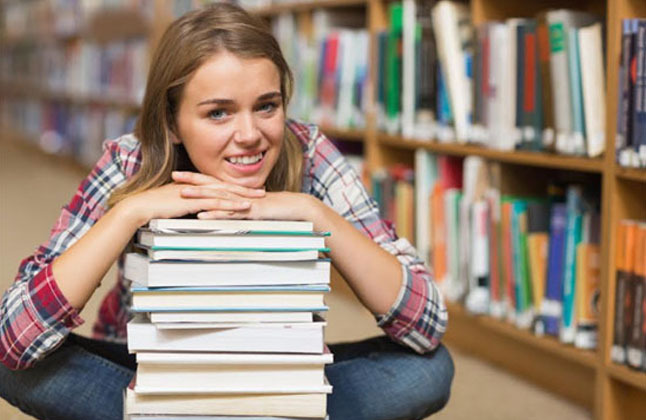 There is only one type of TOEFL exam that is done entirely on the computer, whereas there are two types of IELTS that are both completed on paper, the Academic IELTS exam for students, who wish to pursue undergraduate or postgraduate studies, and the General Training exam for candidates who wish to meet immigration and occupational requirements. The speaking and writing sections of the TOEFL are graded based on how they appear as a whole, which includes your range of vocabulary, writing style and grammar. Those of the IELTS are based on separate grades of individual criteria such as your use of logic, cohesion, grammar and fluency. The IELTS is graded on a band system from 1-9, with your overall score being an average of your separate scores in all four tests. Institutions considering your application are advised to look at both the overall band score and the bands for each component in order to determine whether you have the language skills needed for a particular course of study. TOEFL is a single test that is graded out of 120, with each of the four sections scored out of 30.